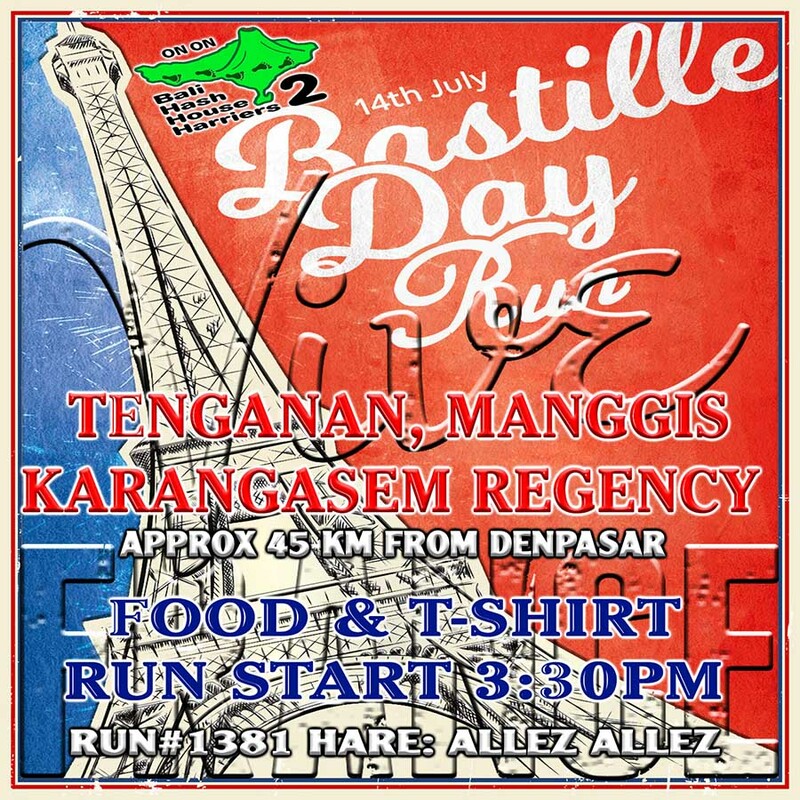 Next weeks run number 1381 will be in Tenganan, start at 15h30 there will be food and t shirts. The run site is at Pesedahan, Manggis, Kabupaten Karangasem and is approximately 47 KM from Patung Titi Banda, East Denpasar via Jl. By Pass Ngurah Rai so leave yourself plenty of time to get there as the run also starts a half hour earlier than normal.